Yes. 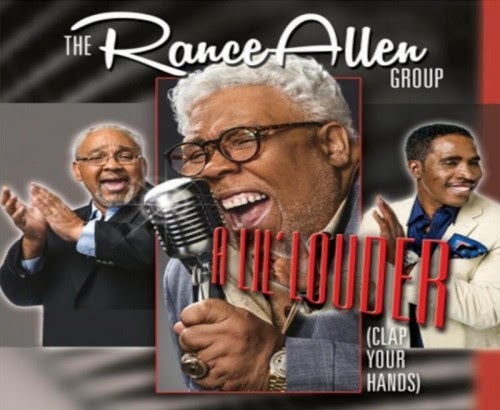 You’ve heard the buzz that the legendary Rance Allen Group has been in the studio and the group’s debut single “A Lil’ Louder (Clap Your Hands)” is nothing less than a gospel hit. Fans of the Stellar award-winning Rance Allen Group (RAG)will hear a fresh, new sound from one of the most successful gospel trios in history. Backed by the stratospheric falsetto of Bishop Rance and brothers Thomas and Steve, “A Lil’ Louder” will excite loyal fans and attract new listeners who crave the kind of gospel sound that makes it impossible to stay seated. The single sets the tone for the much anticipated RAG project. Co-written by Floyd “Timeless” Thomas and Rance Allen, “A Lil’ Louder (Clap Your Hands)” reminds listeners to clap hands, stomp feet and raise their voices in praise to God for the good He’s done.